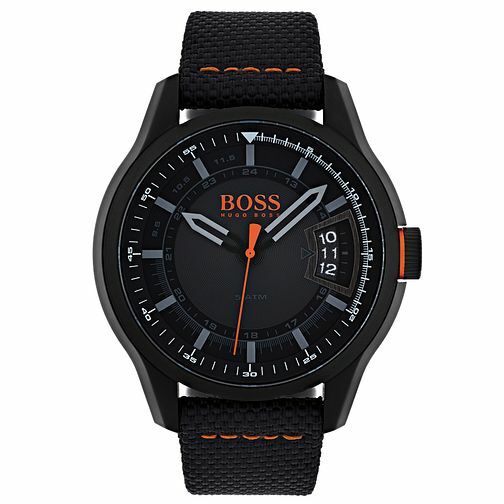 This men’s wristwatch by Boss Orange has an uncomplicated design. Its black nylon strap, the black dial and the polished black stainless steel case merge to form a harmonious look. The logo and second hand in an orange colour, which is the hallmark of the brand, create a casual contrast. The orange-coloured ring on the crown rounds off this masculine style.